Against all odds Briton Ferry Llansawel have made unbelievable progress on and off the field. Success isn't given, it's earned. A motto echoed by everyone involved with our club. Briton Ferry Llansawel was born out of the merger of two clubs, but although our history in our current guise only dates back to the 2009 both Briton Ferry and Llansawel Football Clubs respectively both retain a distinguished albeit contrasting history. Briton Ferry Ex-Schoolboys (Founding name) being the elder club were formed in 1925/26 and became members of the Welsh League in the early 1930's. The team was re-named Briton Ferry Athletic A.F.C. in 1926 when playing in the Swansea and District Football League. Promotion was gained to the second division of the Welsh League in 1932. After the Second World War "The Ferry gained promotion to the first division of the Welsh League in 1947, albeit for one season only. Despite the Club's mixed fortunes in the 1950's and 1960's it built up a fine sporting tradition and produced three full Welsh Internationals in Roy John, Harold Williams and Carl Harris. In 1987 Mr. Graham Jenkins, now a life president who played for the team between 1951 and 1955 and whose grand-father, Mr. James Taylor, was a founder member of the club became Chairman of the Club and between 1995 and 1997 he under-took the re-building of the clubhouse, dressing-rooms, the visitors' lounge and the installation of flood-lights. There is no doubt that the club's fine facilities were a factor when Mr. Carl Harris, the former Leeds United winger and winner of twenty four full Welsh Caps accepted the position of player-manager. The club enjoyed considerable success under Carl's leadership culminating in the team's promotion as runners-up to the new League of Wales. However the stay in the League was to be a short one when relegation followed at the end of the 1993-94 season. Although the club preserved its status has one of the most established teams in the Welsh league by retaining their first division status for many years they were never able to reach the heights archived in their glory days and a succession of poor seasons culminated in their relegation in 2008/2009 to the third division of the Welsh Football League. Comparative youngsters compared to their counterparts at the Old Road, Llansawel Football Club were only formed in 1985 by a group of fathers whose children were playing junior football for Giant's Grave Boys Club. Over a period of 20 years since they entered the then old Division Five of the Neath and District Senior League the club successfully rose through the ranks culminating in 2005/2006 by becoming the first team in the 75 year history of the Neath League to complete the treble twice. 2005/2006 proved to be a landmark season which saw the club win 6 trophies including the Premier League, Premier Cup, Open Cup, Borough Cup, Rose Bowl and Neath League 75th Anniversary Trophy. A great season was capped with Llansawel gaining promotion into the Welsh Football League. Llansawel spent three seasons in the Welsh League before the decision was made to amalgamate with Briton Ferry FC. 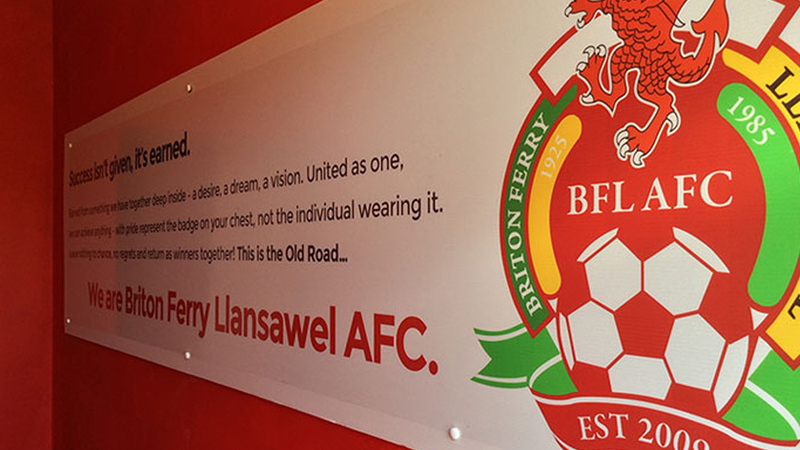 After extensive discussions in the summer of 2009 it was agreed that Briton Ferry and Llansawel Football Clubs would merge to form Briton Ferry Llansawel AFC. It has been evident during the past few years that everyone associated with the new club is determined to grasp the opportunities this merger provides and maximize its potential ensuring that the new infrastructure provides a foundation for controlled growth ensuring a bright future for everyone associated with Briton Ferry Llansawel AFC. The 2011/2012 season proved to be the new club’s most successful season with both senior teams having successful campaigns. The first team guided by Carl Shaw with Martin Parker and Paul Evans finished third in the league gaining promotion to the Welsh League Second Division. Our Reserve team managed by Dean Tristram and Martin Williams added to the success by winning the clubs first trophy since the merger when they won the Reserve League Cup which followed up their runners-up position in the league. The club had an excellent first season in Division One finishing in the top half while also continuing to invest in the infrastructure with our development teams and ladies all finishing in the top three of their respective leagues. A difficult season saw the reds finish four from bottom in Division One on joint points with four teams who finished with better goal difference above them. With Port Talbot failing their domestic licence the club were subsequently relegated by the FAW. A turbulent summer has seen many new faces in the squad along with changes in the management set up. Off the field a new 175 seater grandstand, disabled bay, press area and 13 man dugouts have seen the club further improve the Old Road hopefully for the clubs return to Division One. Our reserve team will be used this season as a platform for development for some of our under 19's who will be looking to make the move into senior football, with our under 19's also competing in Youth Division West. Our ladies will also compete for the first time in the Women's Welsh Premier League. It was a case of mission accomplished for our first team with a swift return to Tier 2 of Welsh Football finishing runners up to unbeaten league champions Llanelli. Manager Carl Shaw will be hoping to consolidate again in the division while the club will also strive to continue to improve facilities at the Old Road to achieve the Tier 2 license for season 18/19. 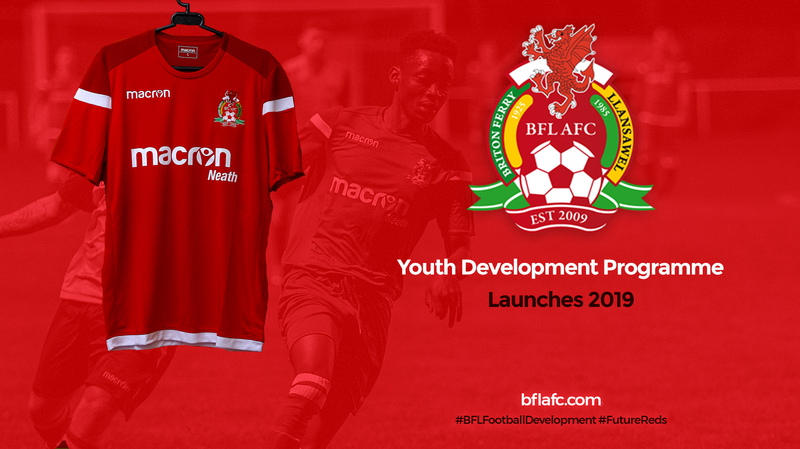 Our development team will see a number of last seasons under 19’s make the step up into senior football under the watchful eye of Layton Thomas and will provide a platform for a mix of first team fringe players and youth. They will look to go one better this season after again finishing runners up in both league and cup. 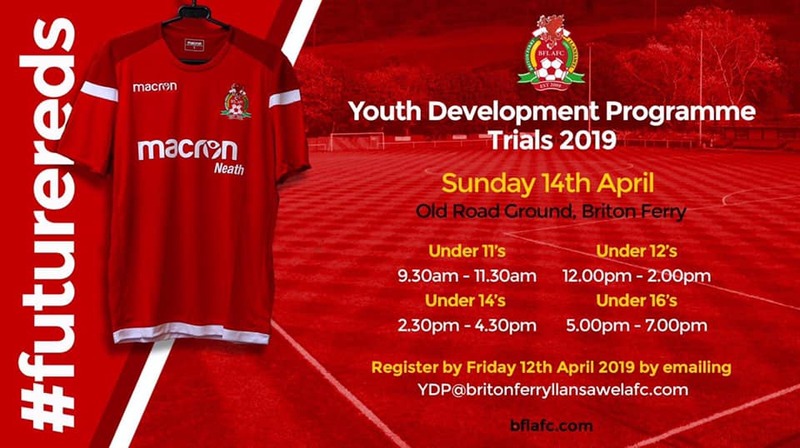 Our youth team will be competing in the West Wales Youth League after manager Mike Rutherford held a number of successful trials to form his squad, the drop down from Welsh League is part of his long term vision to see a sustainable youth system at the Old Road. Our ladies team put up a brave fight in their first season in the Welsh Womens Premier League and despite an excellent late run of results they were relegated. This season they will be part of the newly formed Tier 2 Womens League and will be highly competitive with their aim to return to the WWPL. It was mission accomplished as Manager Carl Shaw secured our place in Welsh League Division One with several games to spare. It was a difficult season for our development side who found themselves finishing at the foot of the table after four teams withdrew late in the season. Our youth and ladies’ teams both proved too strong for their respective leagues with both teams being crowned champions of their respective divisions. Our youth team will be competing in the Welsh Youth League in 2018/19 after manager Mike Rutherford lead them to the West Wales Youth League title. Our ladies clinched an immediate return to the Women‘s Welsh Premier League after a clinching the league title on the last day of the season away to Barry Town. Our ladies reserves went from strength to strength after a very good season providing much needed support to the first team. Our Ladies youth team showed there is plenty of Future reds ready to make the step up after comfortably clinching the title. Confirmation of our Tier 2 license this Summer was reward for all the hard work carried out over the last few years by everyone at the club. Continued development on and off the field this Summer will hopefully help us consolidate our position in Division One prior to the restructure of Welsh League in 2019/20. It’s fitting that all the first team players who finished last season signed on for the new campaign. Carl Shaw also added some significant new signings with the aim to finish as high up the league table as possible. Carl retained the services of both Ray Pennock (Assistant Manager) and Gary Elsey (Goalkeeping coach) but added Mark Napieralla (First Team Coach) and Sara Gray (Sports Therapist) to last year’s management team. Our Development Team will be managed by Jonathan Davies and he will be assisted by Ross Howells. Last season’s West Wales youth champions again managed by Mike Rutherford will make their debut in the Welsh Youth league. Ross Norgrove, Simon Powell and Jack Midwinter will once again take charge of Briton Ferry Llansawel Ladies as they make an immediate return to the Women’s Welsh Premier League after winning promotion after being relegated in 2017. Our ladies reserve team will be managed by Richard Churchill, Tom Knight and Tasha Trottman. Finally, our ladies youth team will be managed by Rob Brown and Alan Topper.